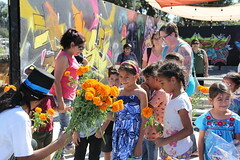 ← Walgreens Brings Happy and Healthy to the Diamond Neighborhoods! 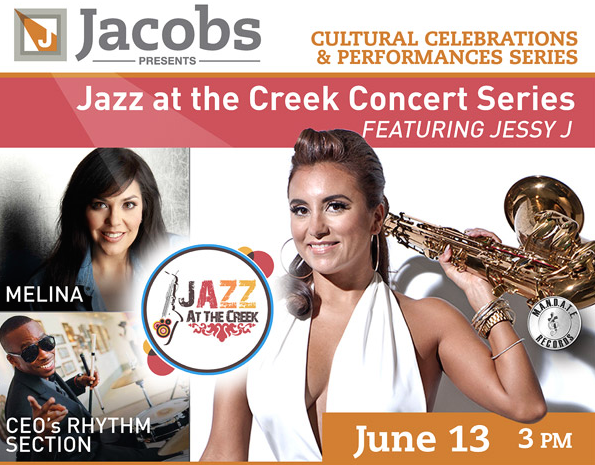 Back by popular demand, the Jazz at the Creek concert series returns to the Jacobs Center, bringing sultry grooves for a good cause to Market Creek Amphitheater. This exciting concert series, brought to you by Leonard Thompson’s M.A.N.D.A.T.E. Records, features three concerts over the summer. We are pleased to be the title sponsor for this year’s series. 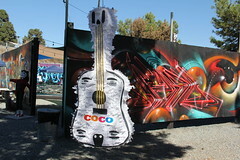 The first concert in the series is on June 13. Jessy J is turning up the heat on the saxophone, Melina will dazzle with her R&B-tinged vocals and the CEO’s Rhythm Section will keep the good vibes going throughout. It’s going to be a great evening of good music. The hits keep on coming on July 11 as Chanté Moore, L.A. Collective and J Boykin hit the stage, then again on August 15 when we welcome Daneen Wilburn, Reggie Codrington and Nick Colionne. Tickets for individual Jazz at the Creek concerts are available online, or you can buy all three at a discounted rate. A portion of the proceeds from Jazz at the Creek ticket sales will go to the Food 4 Kids Backpack Program, which provides backpack full of food to needy elementary school children and their families. Click here to purchase!